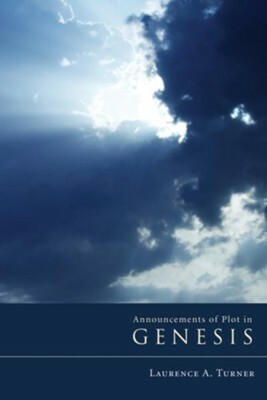 This volume investigates the plots of the Genesis stories. Rather than fragmenting Genesis into hypothetical sources and reading each in isolation from the others, as has often been the case in scholarship, this final-form reading exposes the coherence and complexity of the book. In particular, the initial ""announcements of plot,"" prefacing each major block of the book are shown to exercise an intimate yet surprising influence over the narratives they govern. The seemingly naive stories of Genesis, when read wholistically, offer profound insights into the interplay between divine providence and human free will. Many suggestive readings of individual units and an on-going discussion with other readers of Genesis combine with a suggestive reading of the book as a whole to make this a must for both students and scholars interested in literary study of Hebrew narrative. - Religious Studies Review Turner's careful readings successfully refute many earlier interpretations by commentators. - Journal of Theological Studies Laurence A. Turner is Principal Lecturer in Old Testament Studies and Director of Research Degrees at Newbold College, Bracknell, England. He is also the author of Genesis in the series Readings: A New Biblical Commentary (Sheffield Phoenix Press). I'm the author/artist and I want to review Announcements of Plot in Genesis.